The remains of the wars in Europe can still be found on the seabed of the North Sea today. The many wrecks of ships and planes, often with their fuel and ammunition on board, testify to these turbulent times. But in the North Sea a lot of new economic activities (wind farms, aquaculture, coastal defenses ...) unfold in the context of Blue Growth. In order for these new maritime developments to proceed smoothly, it is important to know which wrecks are located where, in what condition they are, and which risks the installation and operation can have on the wrecks and any hazardous content. The European funded North Sea Wrecks project aims to find common solutions to this shared problem. In times of war the North Sea was a theatre of all kinds of military sea and air operations (naval and air battle, air raids, sea combat, training, manoeuvres, accidents). Thousands of ships and aircraft with oil, ammunition and other hazardous goods on board sank to the seabed. In addition, millions of sea mines were introduced into the North Sea and after the wars a lot of ammunition, along with other war material, was dumped in the North Sea. With installation works and operations at sea, there is not only the danger that the remaining ammunition explodes, but also that polluting substances are released. Blasting the ammunition before the start of the work might scatter the residues over a larger area, causing negative effects on the surrounding aquatic environment. These and other challenges faced by North Sea Wrecks are perfect examples of transnational challenges which require a transnational approach to overcome them. The North Sea Wrecks project is a collaboration between nine partners from five countries, with the aim of developing an instrument where the potential environmental impact can be assessed before starting work at sea. The Flanders Marine Institute (VLIZ) will mainly focus on the wrecks present in the Belgian part of the North Sea. A few wrecks that still contain ammunition and potentially hazardous substances will be investigated by VLIZ in a case study in consultation with and cooperation with Dutch, German and Danish research partners. The focus will be on factors that influence environmental or explosion risks. In addition to research of historical sources, VLIZ will use the research vessel RV Simon Stevin, ROV Genesis, the multibeam and the scientific diving team. 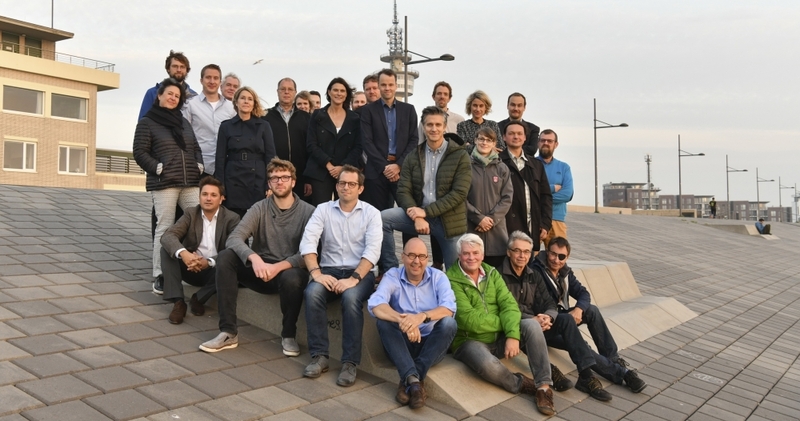 The North Sea Wreks project is being financed under priority 3 of the Interreg North Sea program, which is aimed at preserving the environment and sustainable management of the North Sea in the long term. More information on the website of Interreg North Sea region.